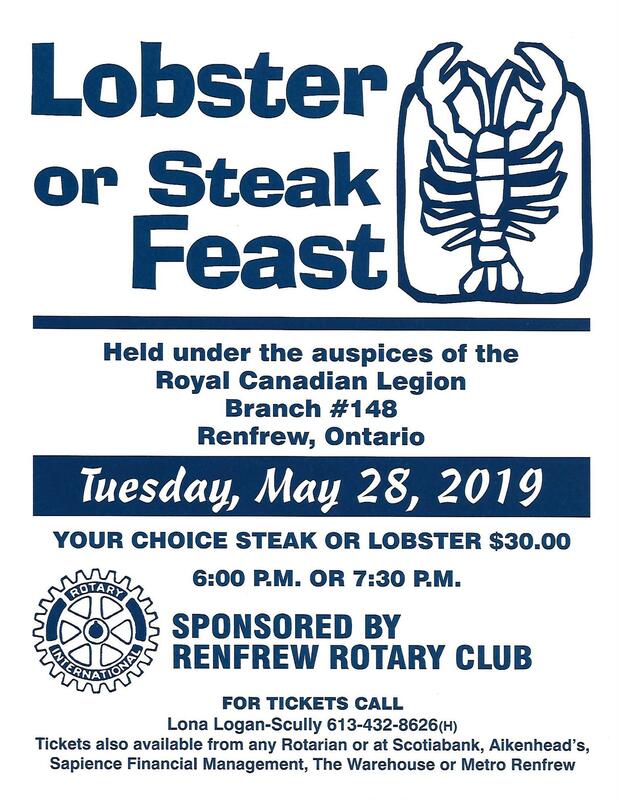 The Rotary Clubs annual Lobster or Steak Dinner is soon approaching. Tickets can be obtained from any Rotarian. Proceeds from this Feast go towards our scholarships at St.Joes and RCI.